Cultivating and caring for your company’s brand is key to driving your company’s profitability. 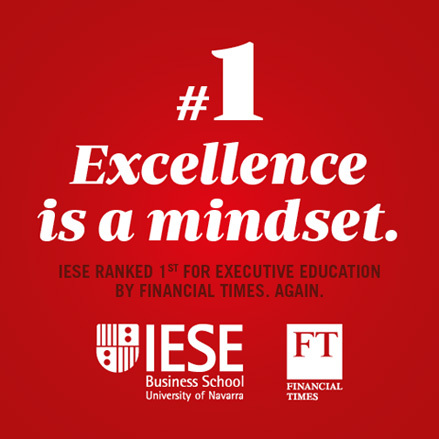 IESE Professor Xavier Oliver explains why. Xavier Oliver is professor at IESE Business School, at the ISEM Fashion Business School, at the IICS (Instituto Internacional de Ciencias Sociais) de Sao Paulo, Brasil and at the Faculty of Communication at the University of Navarra. Prof. Oliver completed IESE's Program for Management Development in 1979, the Strategic Marketing Management Program at Harvard University in 1985 and the Senior Management Program (SMP) Omnicom University, Babson, Mass. EEUU (2005/2006). He earned his Ph.D. in advertising from the University of Navarra. Do not forget that the ecology,is a center of the life and the business needs to think about it!